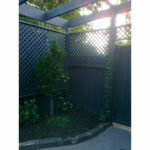 Merbau is a very popular hardwood used for most decking and screening projects across Australia. 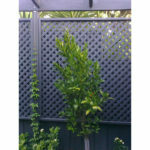 It is a timber that is vibrant in colour and has exceptional durability. 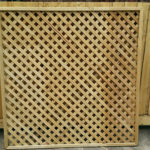 The timber does have resinous properties that you should be aware of before choosing this profile, the resin can run off the timber and stain concrete footings. We recommend sealing and staining the panels to avoid this from occurring. 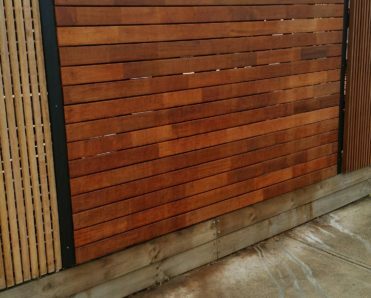 Staining over the Merbau will also help protect the timber and enhance the durability of the product. -We have backing supports spaced at approx. every 400mm- 500mm centres to ensure that the panels don’t twist. If you build a screening section and leave too wide distance between supports then you run the risk of having the panels warp. -When constructing the panels we use 25mm stainless steel screws 3 in each join so the panel is firmly secure and is set to last 15-20 years. 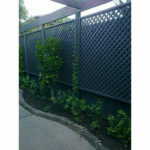 This profile of lattice is only available from our factory in Reservoir, Melbourne. We try and keep a small amount of stock of 7 different sizes highlighted in our price tab. Please call to enquire regarding stock levels before coming down.